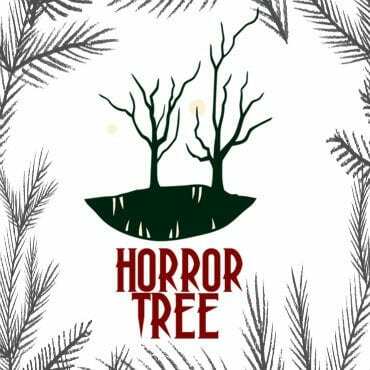 Stacey – Welcome to The Horror Tree, G.A. It’s great to have you. So, tell me, what do the initials G.A. stand for? G.A. – Thank you, Stacey! It’s a pleasure to be here. I promised myself I’d be honest in this interview, so I’ll confess that G.A. Miller is my pen name. When I chose to try my hand at writing, I decided to use a pen name as a safety net. My middle name is George, my Confirmation name was Anthony (yes, Mom tried her best), and Miller has long been my go-to choice in the category of cold adult beverages. Voila, G.A. Miller came to be my very own ‘Dark Half’. Stacey – If I’ve done my homework correctly, you hail from Providence, Rhode Island? What’s it like to live there? G.A. – There is a wealth of history here, a long-standing heritage to explore and learn about. That H.P. Lovecraft lived here, Edgar Allen Poe spent time visiting a woman who lived here, and Stephen King is due north in Maine certainly provides a wealth of “Mojo” on which to draw for an aspiring horror writer. Stacey – You work as a technician by day, and a writer by night. Is one more satisfying then the other? G.A. – Writing is much more satisfying, as it allows me to free my imagination, to explore interesting possibilities with no limitations, and provides a tremendous creative outlet for me. I was a musician and songwriter for many years, until age and arthritis took away my ability to play. Writing has filled that creative gap and has allowed me to try my hand at something that has always interested me, but I’d never taken the time to try. Well, as long as I had the rabbit ears on the TV positioned just so. Then, with the magic of books, the world opened up, from classics like Stoker’s “Dracula” to the well-worn copies of the EC Comics that had been banned before my time. Tales from the Crypt, The Vault of Horror, and of course, Famous Monsters of Filmland magazine. The silver screen had no shortage of good content for my mind to absorb and process…Hitchcock’s “Psycho”, “Village of the Damned”, “The Day of the Triffids”, and so on. Those led to the explosion of Technicolor on screen with the Hammer Horror imports, generally starring the great Christopher Lee and Peter Cushing. 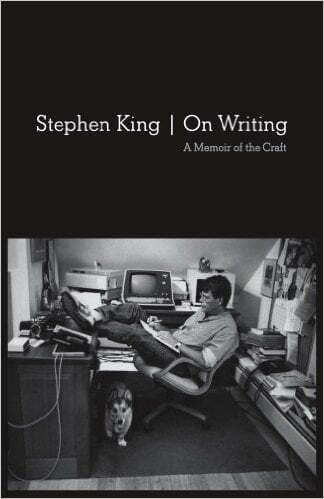 With that background, I discovered Stephen King in 1976, with the first paperback printing of “Salem’s Lot”, and it opened my eyes to the world of “What If?” Most of my work has been simple, everyday people cast into extraordinary circumstances once the “What If?” was applied. G.A. – I should, but I don’t. I tend to jot down thoughts and ideas as they occur to me, and then set times to write when the house is quiet and distractions are at a minimum. I do need to discipline myself better, and write each day, despite work time, family time, chores to be done, and so on. Someone once said the first million words are just practice, and I have a lot of practicing to do. G.A. – For me, silence works best. I like to immerse myself in what I’m working on, and when music is playing, I’m easily distracted by it. My background as a musician has me listening to the chord structures used, the arrangement, and completely takes me away from what I’m writing. Stacey – What’s the best writing advice you’ve been given so far? G.A. – To develop characters the reader can identify with, to care about, so they are compelled to follow the story and see what the outcome will be. If the reader doesn’t care about the characters, then the story carries no weight to them. G.A. – Names, mostly. A friend pointed out that I had a tendency to overuse the character’s names during dialog, and I now watch for that. Once I’ve established who’s saying what, then ‘he’ or ‘she’ come to the fore in the dialog, rather than their names over and over again. G.A. – Oh, there have been several over the years, and generally because I haven’t become engaged with the characters by the time I give up on it. I have no problem with suspension of disbelief, especially in a work of horror, but I need to buy in, to care about the people and events I’m reading about. In general, if I find I’m forcing myself to read it, then I put it down and move on. G.A. – That was “1922” on Netflix, based on the Stephen King story. I felt they remained true to the story, and the actors did a good job bringing life to the characters they portrayed. Thomas Jane, in particular, captured the essence of a man haunted by his deeds. G.A. – Hmm, we have a list. I can’t swim, so drowning is up there, as are heights. I’ve always had this “thing”, a phobia perhaps, a mental image of a huge aircraft falling out of the sky, coming down on my location, with me frozen in the spot, unable to try and move to safety. In fact, I wrote a short story about that fear, titled “Nightmare”, which was published in Horror Bites Magazine last year. Stacey – Favourite musician/band? What’s one song that you can’t get out of your head? G.A. – Led Zeppelin, no contest. I saw them in concert in 1977, which would prove to be their last US tour because John Bonham died in 1980, and it was the most amazing live musical performance I have ever seen. The song of theirs that stands above the others, at least to me, is “Kashmir”. That song brought the house down in ’77, despite the classics like “Stairway to Heaven”, “Rock and Roll”, “Whole Lotta Love”, and so on that they performed that night. Stacey – You have stories featured in five different publications. Which would you say is your favourite story? G.A. – Of those five, I’d say “Bequeath”, which was published in the premiere issue of Hinnom Magazine from Gehenna and Hinnom publishers. It’s a story about a quiet, unassuming man who receives a ring in a box as an inheritance, and that ring carries a dark secret that changes his life forever. G.A. – At the moment, I am reworking a novella I wrote last year titled “Spirit of the Dead”, which takes place in the fictional village of Carson’s Mill, RI. I’m also gathering ideas and fleshing out characters for a novel I’m planning, and I’ve just assembled a collection of thirteen stories that I’m considering self-publishing. Lots going on and loving the work! Bobby found himself walking through the apartment, darker than it had ever been before. There was light up ahead, and he followed it into his living room, where their TV was on, but the picture was bright, vivid color, not the fuzzy black and white it had always been. He instinctively realized this had to be a dream but gasped aloud when the man on the screen turned to face him and began talking to him. “H-hi,” Bobby stammered. He’d never seen this man before, and there was something unsettling about him. He looked very tall, all dressed in black, with a shiny bald head and hair on his chin. He was smiling, but it was a creepy smile, the kind of smile the monsters do just before they pounce on you. “Ah, but this is not the kind of TV you’re used to, Bobby. This is a magic TV, do you see?” He waved his hand and the picture behind him changed, showing all of Bobby’s favorite places, his favorite TV shows, everything so brilliant and crisp. Bobby was frozen in place. He was amazed by what he was seeing, but there was something about that man…. The alarm clock in his mother’s bedroom started ringing then, and the man glared when he heard it, that creepy smile now an angry grimace. Bobby saw flashes of red in his eyes because the picture was so bright, so clear. The man’s arm extended right through the glass, reaching out for Bobby, and he felt a hand gripping and shaking his arm. His eyes flew open and he found himself back in his bed, his mother shaking his arm gently to wake him. Thank you so much for your time G.A! If you would like to find out more about G.A. Miller and his writing endeavours, check out the links below. Thank you so much, Stacey, it’s been an absolute pleasure! For those who may be interested, the complete story excerpted in this interview (The Dot) will be in the April episode of Dennis Serra’s Evil Podcast (www.evilpodcast.com), which premieres on April 16th.